Despite the common notion that spring is the best time to re-organize and get the place spruced up, we are of the mindset that winter provides the perfect excuse for those to hang out in their pajamas all weekend. So, why not put this weekend to good use? Here are our tips for overhauling your abode neatly and quickly! • Tupperware bins are perfect for holiday décor, old pictures, photo albums and anything else that may be strewn about to neatly stack in your basement or garage. • Small and large bins that blend with your décor and “hide” your children’s toys. 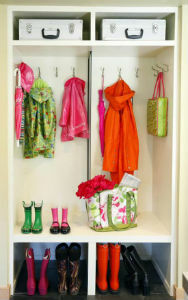 • A hanging key organizer in your mudroom or foyer saves space and sanity! Those living in Happy Valley certainly weren’t surprised a couple of weeks ago when State College was once again placed on CQ Press’ Top Ten Safest Cities list for 2013. But for many who are relocating to the area, getting a feel for the town may be the number one priority. The list contains cities from all over the nation including places like Logan, Idaho and Appleton, Wisconsin – even Edison, New Jersey. But a low crime rate is just the tip of the iceberg in State College, PA. 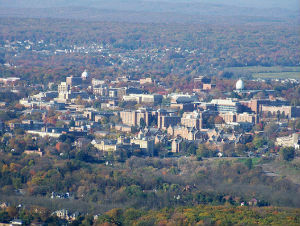 This unique city is really more of a small town, yet it contains world-class facilities because of the university. More and more, we see customers coming in and asking us for an energy efficient home. It seems that this “feature” is more popular than ever these days. Why is that? 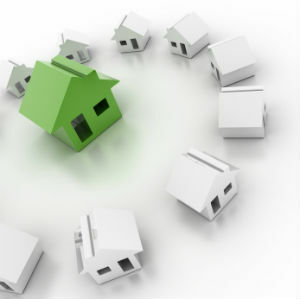 • Energy Efficient Homes Save Money – Hands down, this is usually the biggest reason for most of today’s home buyers. When you consider that an S&A E-home (our standard energy efficient home) will save thousands of dollars on utility bills over the average ownership span, that’s a pretty big chunk of change. Last month, we mentioned that we would be unveiling a number of new products to give you the ultimate flexibility in customizing your new home. 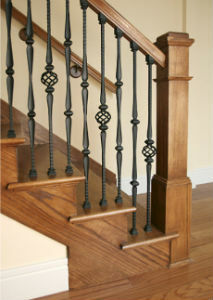 From faucets to chandeliers to ornamental stair balusters, we are pretty sure we have left no stone unturned. The following images are simply a sampling of the many new options you have to choose from. Call or visit a community today to get more information on how you can transform your new home into your dream home! 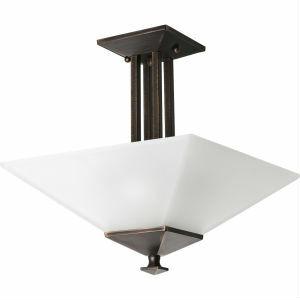 Craftsman-Style Lighting from Progress™ gives your new home a custom look. Whether you seek an arts and crafts look or an elegant art-deco style, we have dozens of railings to choose from with L.J. Smith™. 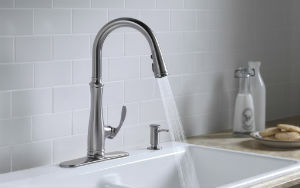 Sleek new bathroom and kitchen faucet options from Kohler™ keep your home feeling and looking fresh. Full cabinetry overlay, refrigerator end-cap options and high-quality finishes from Century Kitchens™ will transform your family’s favorite room into a kitchen fit for a gourmet chef. Customized storage solutions in a number of different finishes from ClosetMaid™ will make you wish your closet was your new bedroom! To discover more options for your new homes, visit www.sahomebuilder.com. We’ll admit, spring doesn’t feel anywhere close to being around the corner. But, honestly, who wants to wait for the warm weather to start getting organized? 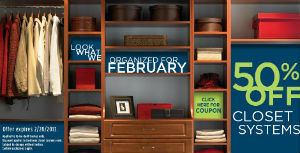 February is the perfect time to kick your organization resolutions into high gear!